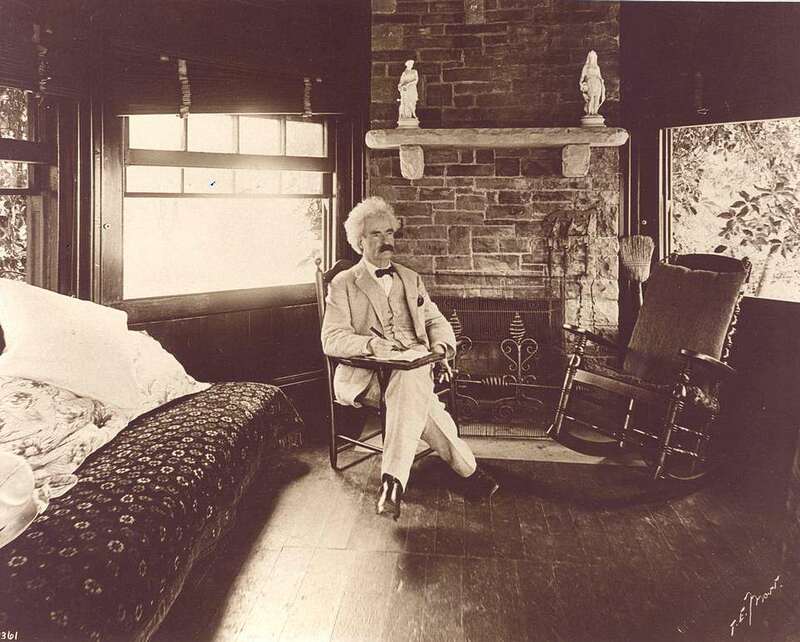 Mark Twain in his writing studio at Quarry Farm, Elmira, NY, c. 1903. Photograph by Thomas E. Marr. Courtesy of Wikimedia Commons. In 1889 Rudyard Kipling traveled to the farm, only to discover that Twain was spending the day back in town at the home of his wife’s brother — just a short walk from the hotel where Kipling was staying. Mark Twain and his family made Quarry Farm their vacation home for over three decades; it was owned by his wife’s sister Susan Langdon Crane and her husband Theodore. In 1874 the Cranes surprised him by building a small, fully enclosed octagonal gazebo about one hundred yards from the main house. In this studio he wrote many of his most famous works. In 1952 the building was moved to the Elmira College campus, where it can be seen today. The event at Oxford wasn’t the first meeting between the authors from “East” and “West.” In 1889 twenty-three-year-old Rudyard Kipling, who had published six story collections during the previous year, left India for a tour of America and Europe. 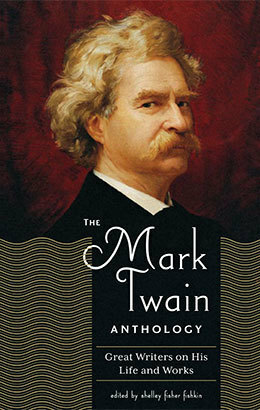 While in New York he hoped to locate and “shake hands with” Mark Twain, the “man I had learned to love and admire fourteen thousand miles away.” His recollection of that encounter — including a somewhat farcical and exaggerated account of how he hunted down his idol — was published in newspapers from Allahabad to Manhattan, and we present it below as our Story of the Week selection. Dear Doctor Walker: I thank you ever so much for the impulse which moved you to write the article — and for the article, also, which is mighty good reading. And I am glad you praised Kipling — he deserves it; he deserves all the praise that is lavished on him, and more. It is marvelous — the work which that boy has done; the more you read the “Jungle Books” the more wonderful they grow. But Kipling does not appreciate them as he ought; he read “Tom Sawyer” a couple of times when he was coming up out of his illness and he said he would rather be author of that book than any that has been published during his lifetime. Now, I could have chosen better, I should have chosen “Jungle Books.” But I prize his compliment just the same, of course. . . . Note: The Robert to which Mark Twain refers during his conversation with Kipling is Robert Elsmere, an 1888 novel by Mrs. Humphrey Ward. You are a contemptible lot, over yonder. . . . If you don't see the full selection below, click here (PDF) or click here (Google Docs) to read it—free!